Halloween. Thanksgiving. Christmas. New Year’s Eve. From September through December, there are so many instances where the libations flow freely, making “Dry January” a welcome respite from the celebrations. Check out these Dry January ideas now! Who says this fun has to stop just because you’re an adult? We say party on, with the help of these four Seattle-based birthday party ideas adults love. Rainy Day Blues no more! Check out these 5 exciting Seattle rainy day ideas from Ninja Escape. Ninja Escape is a great way to escape the weather and have a blast. Book now! 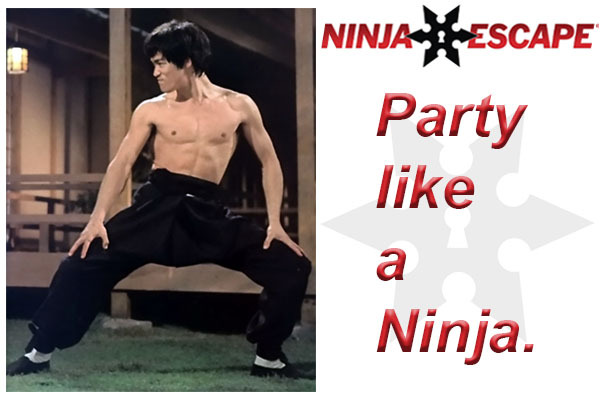 Celebrate Ninja Victory & Seattle Beer Week! Your team has thwarted the evil Kraken... or maybe Beer Week is your sweet entrance into the pearly gates. Either way, you survived Ninja Escape and deserve a cold one! Check out some of the local breweries and pubs that are participating in Seattle Beer Week 5/12-5/22. Each location listed below is within walking distance from Ninja Escape, and highly recommended by the Ninja Master himself. Stay up to date with all the upcoming action and adventures.